Infernal Awakening are a band from Arizona that plays an atmospheric and melodic form of black metal with elements of death metal and this is a review of their self released 2014 ep "Enlightened By Lucifer's Flame". A very dark and distorted guitar starts off the album before going into a more fast, raw and melodic direction along with some fast drumming and you can hear some synths and orchestras in their music which leads up to blast beats and grim black metal screams as well as a mixture of slow, mid paced and fast parts. You can hear a great amount of talent and skill in the bands musical sound along with all of the musical instruments having a very powerful sound to them and when solos and leads are added into the music the band starts having a more technical and melodic edge to them and after awhile the riffing and vocals start combining death metal influences into the bands musical sound. You can hear a quite a bit of Norwegian and Swedish influences of 90's black metal in the bands musical sound and they also bring in a couple of tracks that are very long and epic in length and the synths and orchestras enhance the deathphonic elements of the bands musical sound and at times the blast beats bring a more brutal death metal feeling to the recording and on the last track the band adds in a few seconds of clean playing to clam down the chaos a bit. Infernal Awakening creates a very synth orientated from of black metal that is not overproduced like the more mainstream bands that play this style and they have a more raw and evil approach with their musical sound along with a great amount of death metal influences being mixed into their style of black metal, the production sounds very powerful for being a self released recording while the lyrics cover Satanism, Occultism, and Darkness. 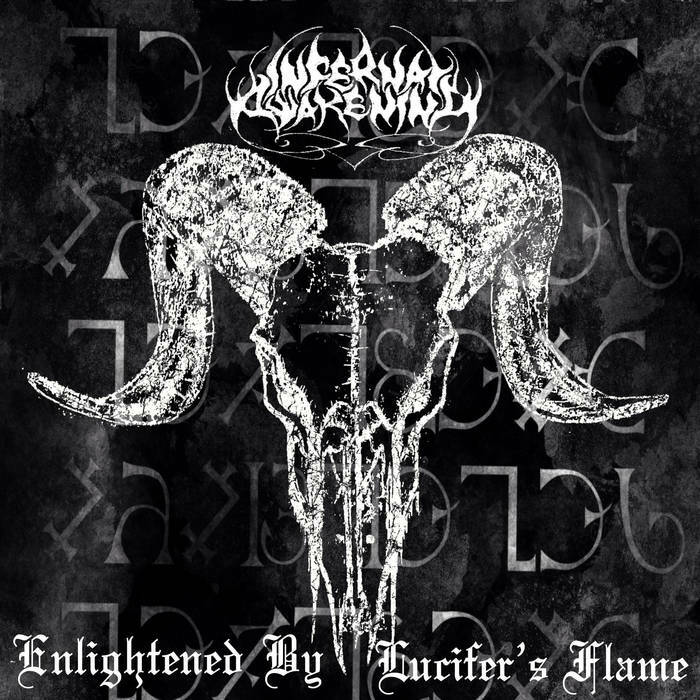 In my opinion Infernal Awakening are a very great sounding deathphonic black metal band and if you are a fan of this musical genre, you should check out this ep. RECOMMENDED TRACKS INCLUDE "Enlightened By Lucifer's Flame" and "The King Ov Hell Has Arrived". 8 out of 10.